Apart from the above-mentioned types of tables, we also make available to our customers with used desks within an affordable cost. We assure you of the fact that the tables we provide feature the finest quality materials to say the least. We make sure that there is no compromise made with respect to the quality. Our company makes use of high quality materials purchased from the most trusted manufacturers. Hence, you need not worry about procuring inferior quality tables or other office furniture products from our stores in Greensboro, High Point and Winston-Salem. The strong body features of our tables will guarantee you the best degree of performance. Apart from the strong body features, our tables feature stunning finish, cupboards and trouble free installation facility as well. 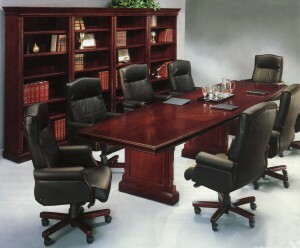 The tables that we will provide you are available in various sizes and styles thus suiting your intended purpose. Surely, you can place the tables in the guest room, executive room, reception, conference and task room too. You can always take a look at our rich inventory for the types of tables we necessary provide at our furniture stores in Winston-Salem, High Point, Greensboro, Burlington and Reidsville. Our, range of products are deemed perfect to provide you with a lifetime experience.